Longtime fans of Chick-fil-A’s coleslaw weren’t overjoyed to learn the side was being dropped to make room on the menu for healthier choices. And that included members of the Cathy family, the chain’s owners. “They had this big gathering, and I had to talk about why it was a good thing to do away with the coleslaw,” recalls David Farmer, VP of menu strategy and development and architect of the chain’s ongoing shift to “cleaner,” better-for-you options. Farmer came away still employed and with a thumbs-up from the descendants of Chick-fil-A founder Truett Cathy, who’d developed the coleslaw recipe 70 years earlier. But that hasn’t ended the second-guessing. “Even around my own dinner table, I’ve caught some heat about coleslaw,” laments Farmer. Clearly, not everyone is enthusiastic about Chick-fil-A’s pioneering efforts to find space for additive-free and less-processed items on a menu built around fried chicken filet sandwiches, waffle-style fries and milkshakes. “It’s always painful when you drop someone’s favorite,” comments the 51-year-old. But he has the proof that Chick-fil-A’s clientele as a whole strongly favors the shift. Since the move began in 2012—more because of serendipity than strategy, Farmer says—the brand has enjoyed a sales trajectory that’s the envy of the business. What may not be visible to customers and competitors, he suggests, is how much groundwork is required by the continuing shift to cleaner and less-processed food. “It has put a lot of pressure on the organization,” says Farmer. For one thing, there was the moonshot of fundamentally changing the supply chain. 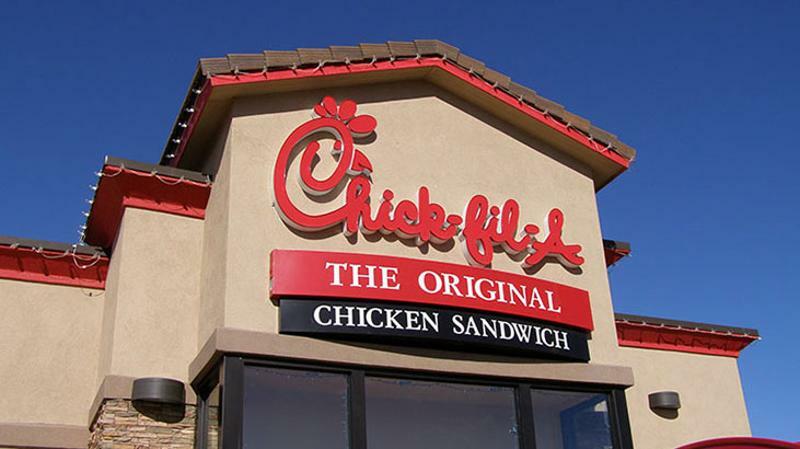 Chick-fil-A finished 2015 with systemwide sales of about $6.3 billion and about 2,000 units. Feeding a system of that size requires a daunting volume of provisions, and cleaner, healthier ingredients just weren’t there in the necessary tonnage. Similarly, when Chick-fil-A decided to replace its menu signature with chicken raised without antibiotics, it had to secure a buy-in from the industry’s Big Three poultry suppliers. Farmer and co-workers visited the CEOs of each, urging them to invest heavily in new production methods for a payback years down the road. Being private, Chick-fil-A doesn’t talk publicly about pricing. The chain also faced internal challenges. For one thing, there were the adjustments in mindset that enabled Farmer to drop coleslaw. There is also a commitment to streamlining the R&D process so changes were in sync with prevailing preferences. The shift started when the brand decided to replace salads typical of the quick-service sector with new options sporting fresher and unusual ingredients like blueberries. The conceptualization took place in 2013, back in the days when Chick-fil-A would usually need 18 to 24 months for a major product rollout. This time around, it set the seemingly impossible goal of making the salad switch in a matter of months. “We sort of set everyone’s hair on fire,” says Farmer. “We ended up introducing three salads in the spring of 2014, and they were a huge hit. Farmer acknowledges that Chick-fil-A has not been the only quick-service chain to have that aha moment. Others, he suggests, will have no choice but to work through their own supply, R&D and operations kinks. Q. What is your leadership role in leading the menu changes? A. I’m not the guy you want coming up with the recipes. I have to do two things. I have to understand the guest and what’s coming up in the marketplace—I can feel what’s on point and what’s not. And I have to empower team members so they can execute and make it happen. Q. What mistake turned into your greatest learning experience? A. We bought way too much of a product and had to swallow a historical amount of disposition cost. Which is not the way we want to spend money. But if we’re not in an environment where there’s some grace to make mistakes, we might not discover one of those really important products.